Bengaluru: JD(S) leader H D Kumaraswamy was today sworn-in as Karnataka chief minister at a grand ceremony attended by a galaxy of top leaders and regional satraps in a rare public show of unity perceived as a possible harbinger of a broad-based anti-BJP alliance ahead of the Lok Sabha polls next year. They smiled broadly, shook hands warmly, and even embraced each other at the bonhomie-filled event to herald the advent of the JD(S)-Congress coalition government in the state amid doubts about its longevity. 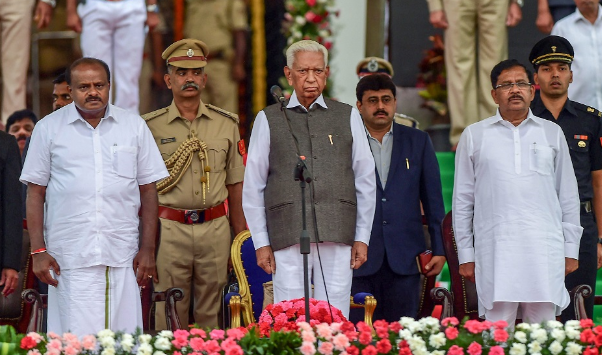 Kumaraswamy, the third son of JD(S) supremo and former prime minister H D Deve Gowda, was administered the oath of office and secrecy by Governor Vajubhai Vala on a huge dais outside the majestic Vidhana Soudha, the seat of power in Karnataka. Attired in a 'dhoti' and white shirt, 58-year Kumaraswamy took the oath in the name of God and "Kannada Nadu", as hundreds of his supporters cheered loudly. G Parameshwara, the state Congress chief and the party's Dalit face, was sworn in as Kumaraswamy's deputy. Kumaraswamy will expand his council of ministers after the trust vote on Friday which he is expected to win without any hiccups. The Congress, which has 78 MLAs, is likely to get 20 ministerial berths and the JD(S) with 37 lawmakers 12. Disparate in ideology but united in the intent of dislodging the BJP-led NDA from power in New Delhi, a bevy of leaders, from UPA chairperson Sonia Gandhi and Congress chief Rahul Gandhi to NCP's Sharad Pawar, from West Bengal Chief Minister Mamata Banerjee to her arch rival CPI(M) general secretary Sitaram Yechury, attended the event. Samajwadi Party president Akhilesh Yadav and BSP supremo Mayawati, who have sewn up an alliance in Uttar Pradesh, were among the first to arrive on stage. 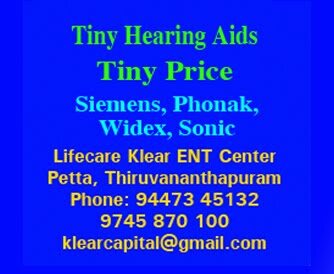 Andhra Pradesh Chief Minister N Chandrababu Naidu, who recently walked out of the NDA and is now a bitter critic of Prime Minister Narendra Modi, his Kerala counterpart Pinarayi Vijayan, RJD supremo Lalu Prasad's son Tejashwi Yadav, former Jharkhand chief minister Hemant Soren of JMM, DMK chief M Karunanidhi's MP daughter Kanimozhi, and RLD leader Ajit Singh were among those present. Telangana Chief Minister K Chandrasekhar Rao had flown to Bengaluru yesterday to congratulate Kumaraswamy. The oath-taking proceedings were, however, curt and cold. A glum-faced Vala, who had controversially sworn-in BJP's B S Yeddyurappa despite the clear majority enjoyed by the post-poll alliance of the Congress and JD(S), remained seated and did not even throw a glance at Kumaraswamy when he came and sat next to him. They hardly spoke and a smile flitted across their faces only after Vala had administered the oath to Kumaraswamy. They then went through the motions of exchanging pleasantries and bouquets. Far removed from the cold vibes between Vala and Kumaraswamy, the top leaders on the dais exuded warmth and cordiality. Mayawati and Sonia clasped each other's hands before the BSP supremo put her arm around the UPA leader's waist. Tejashwi, the Leader of Opposition in the Bihar Assembly touched the feet of Sonia and Mamata Banerjee as a mark of respect. The meeting and greeting ended with the leaders posing for a group photograph, clasping each other's hands and raising them in a show of solidarity. Ahead of the ceremony, N Chandrababu Naidu and Mamata Banerjee called upon all regional parties to come together on a common platform to strengthen federalism. "We will keep in touch with all the regional parties so that we can work for the development of the nation, development of the people and development of the federal set- up also," Banerjee said. "I met Mamata ji and we all have come here to witness the swearing-in ceremony of Kumaraswamy. He is from a regional party and we are very happy that he has become the chief minister of Karnataka," he said. When asked whether the coming together of leaders of so many non-BJP parties heralded a common front against the BJP and NDA, Naidu said, "We want to promote more and more regional parties. We want to strengthen (regional parties). That is Mamata ji's and our party's mission and that's how we are working." Though Kumaraswamy has managed to be back at the helm of affairs in Karnataka after a decade, managing the contradictions in the coalition may not be a smooth sailing for him after the JD(S) and Congress fought a bitter electoral battle in the state, particularly in the old Mysuru region. Kumaraswamy had conceded yesterday that running the coalition government for the next five years would be a "big challenge" for him. The BJP boycotted the oath-taking ceremony and observed a "black day" across the state. It slammed the Congress-JD(S) coalition in Karnataka as an "opportunistic alliance", with party spokesman Sambit Patra dubbing the presence of a host of opposition leaders at Kumaraswamy's swearing-in ceremony as a "celebration of corruption".